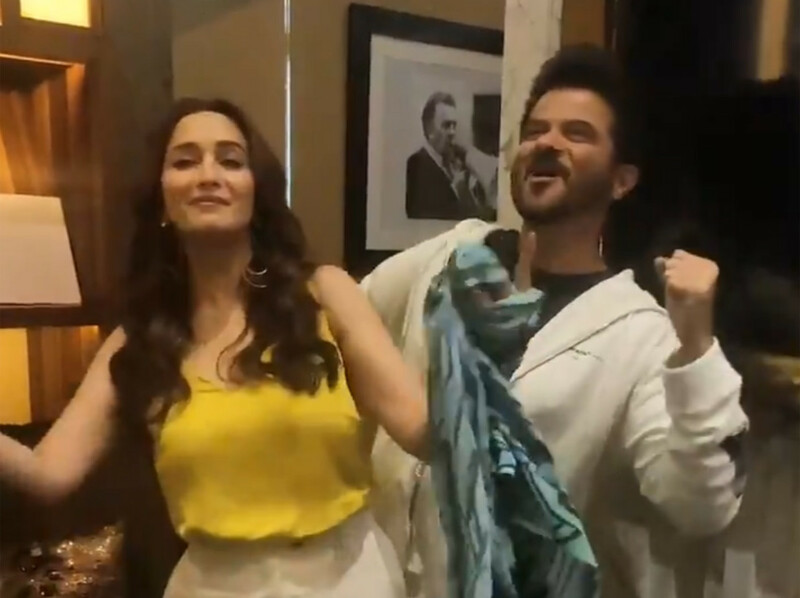 Actress Madhuri Dixit Nene and Anil Kapoor recreated some dance moves from their popular movie ‘Ram Lakhan’ to celebrate 30 years of the film’s existence. “Today marks #30YearsOfRamLakhan and dancing on this song brings back so many beautiful memories. It was fabulous working with the team of ‘Ram Lakhan’,” Dixit Nene tweeted on Sunday. In a 28-second-long video, Dixit enacted the song ‘Bada Dukh Dina O Ramji’. And Kapoor joined her for the song ‘My Name is Lakhan’. Directed by Subhash Ghai, the crime drama released in 1989, and also starred Jackie Shroff, Dimple Kapadia, Raakhee and Anupam Kher in lead roles. The film showcased the tussle between the good and the bad with a story of two brothers. “30 years of ‘Ram Lakhan’. Amazing. I enjoyed making it with no effort but with a flow of love. And we are still there together,” posted Ghai. Apart from the storyline, the film’s songs like were big hits and still enjoy a wide fan base. “It is serendipitous that we should be working together on the anniversary of ‘Ram Lakhan’. I can’t think of a better way or a better person to celebrate this milestone with,” wrote Kapoor. The two actors, Kapoor and Dixit Nene, will soon be seen in ‘Total Dhamaal’, which is set to release on February 22 in India.